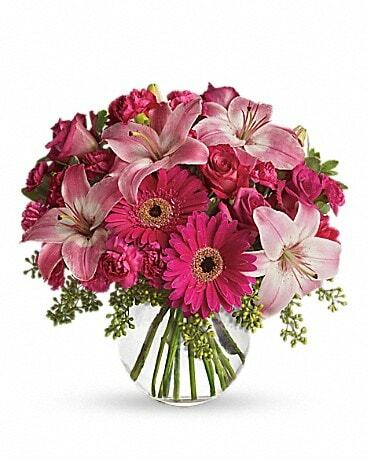 Boldly blushing with an array of pink hues and offering an unforgettable styling your special recipient will adore, this mixed flower bouquet is set to send sweet wishes with gorgeous grace. 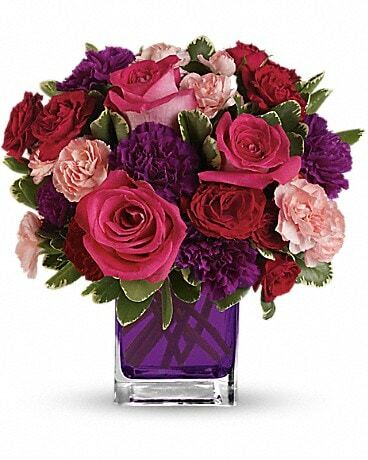 Lavender roses, hot pink Peruvian Lilies, fuchsia gerbera daisies, red spray roses and lush greens are brought together to create a perfectly pink presentation. 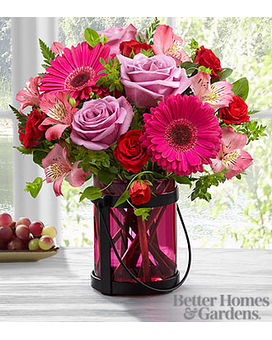 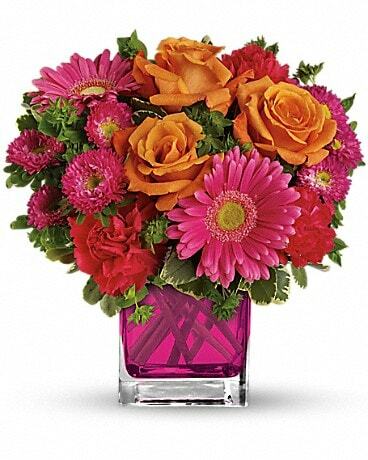 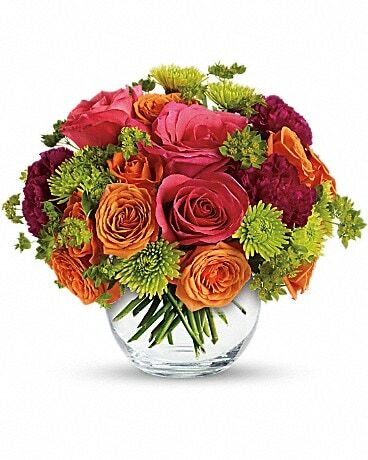 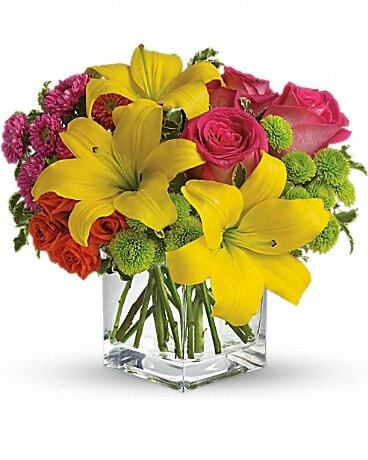 Arranged in a pink glass lantern inspired vase that can be used as a candle holder after the original offering of flowers fades, this mixed flower bouquet will make an excellent birthday, thank you, or congratulations gift.